"I don't think you could have a peak if you don't ever have a valley. It's in the valley when we really learn who we really are. And it's in the peaks when we learn who we are, because success exposes who you really are. And I want to use the success to build bridges, not to burn them. Thank you everybody, very much." Mary J. Blige's acceptance speech at the 2007 Grammy's. Sunday, the eleventh day of February, in the Year of Our Lord, 2007. I'm sitting 13 rows away from the stage of the Staple Center auditorium, 13 rows away from TV-Land. I am surrounded by executive types, and I am watching Mary J. Blige accept her first of three Grammy’s. Nominated for eight awards, Mary won best R&B Album for The Breakthrough, best Female R&B Vocal Performance, and best R&B Song for Without You. 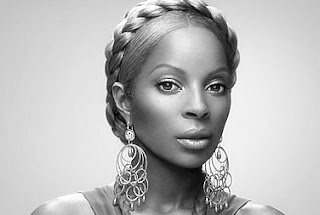 MJB looks bioluminescent, as if she was born to give off light and glow in this historic moment. However, Mary's radiance is more than just her outward glamorous appeal. Mary is shinning because she has found something more priceless than anything money could buy or any award could validate: Mary has found the most powerful force in the world and it's written all over her face for the world to see. She has found the strength to love herself. 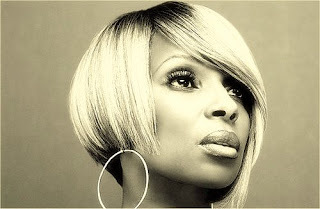 This night is the inauguration of the First Lady Of Hip Hop Soul, Mary Jane Blige. I met Mary in 1989. Her stepfather, a guy known as Little Jimmy, worked on the GM assembly line (in Tarrytown, New York) with Jeff Redd. Jeff is a great singer and performer from Mount Vernon who was blowing up in clubs like Bentley’s and Silver Shadow. Jeff’s manager was a dude from Harlem named Reggie, who had a management company with another Harlem guy named Charlie and Kurt “Juice” Woodley. Juice was my A&R director Uptown. So Jeff brought Mary to Kurt and Kurt brought Mary to my attention. Mary had recorded Chaka Khan's Sweet Thing in a do-it-yourself recording booth in a mall in Westchester County, N.Y. And as soon as I heard Mary sing, "I'm gonna love you anyway/even if you cannot pay/ I think you are the one for me…," I was done. 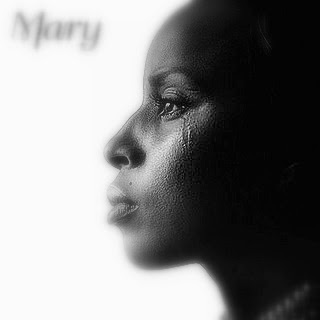 When I heard Mary's interpretation it was by far one of the most painful slices of life I had ever heard. Mary's version of "Sweet Thing" wasn't sweet at all. Even when she went off-key the flat notes were like teardrops. Mary was on an entirely different level in the way she communicated emotion. Her flat notes were painfully melodic--every note portrayed the disappointment in Mary’s life. I could hear how disappointed Mary was with in the men in her orbit and how that head-set was probably passed down to her by her Mom, Grandmother, and Aunties. This was a disappointment that crossed generations. Mary was emotionally scarred, and that scarring was deep. And the only way out of the fractured pit of her broken heart was to sing about it and lift up other women, because in doing that Mary was going to be able to soar on the wings of love she dreamed about. When Mary sang it was like she was taking her listeners on an emotional tour to find the greatness and purpose in life. Mary's version of Sweet Thing--like all of the music she did after that--haunted me. I met Mary in the Schlobaum Houses in Yonkers, where she lived. These projects were known at the “Slow-Bomb” and it made sense to me. 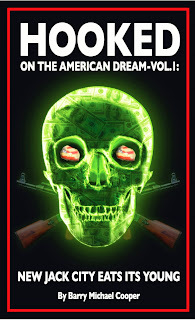 Growing up in the Bronxville projects, I knew living in those conditions were like living inside a slow, ticking, Weapon Of Mental Destruction. Mary greeted me downstairs in front of her building. I was struck by how pretty and shy she was, which made her more attractive. What stood out was the scar under her left eye. That scar was like Marilyn Monroe's mole. Mary's scar was going to be her distinctive beauty mark. Her body language was the body language of most pretty girls who didn't want to stand out in the crowd because of low self-esteem. Her shoulders sloped down as if she was trying to make herself smaller in an attempt not to be judged in a negative way. Mary was quiet and timid, which made her seem very peaceful. We talked a little about music: what she liked, who she listened to, and what I was trying to build at Uptown. I told Mary I wanted to make movies on record, and her life, her struggle, and her voice would make her a ghetto movie star. We met again a few weeks later when her mother, Cora, let Mary come down to the Uptown/MCA office on 57th and Broadway in Manhattan. By that time I had listened to her demo a few times and I was convinced Mary could be an icon. I said to her, "One day, you're going to be singing before the kings and queens of Rock & Roll royalty." She laughed when I said that, but even back then I could see her sparkling quality. Mary thought I was charming, eccentric, and funny. She used to refer to me as her musical father, because I was one of the few men she knew that tried to nurture and guide her in the right direction. I really did want to create a comfortable environment around her so she could work and flourish with her God-Given talent. I saw a Queen in her. Mary's persona was right for the sound that was slowly evolving at Uptown. Right around this time, Puff had created a remix of Jodeci’s Come And Talk To Me. The remix sampled EPMD’s Just A Customer. With Jodeci’s vocals and that loop, the sound known as Hip Hop Soul was born. It was a breakthrough. But Jodeci wasn’t from New York. They were from North Carolina. Their sound was soulful, but in my mind, the first incarnation of what I was calling ghettofabulous at that time had to come from uptown, from Harlem, New York. Ghettofabulous had to incorporate the feeling of James VanDerZee, Langston Hughes, Duke Ellington, Zora Neal Hurston. I wanted to create a New Harlem Renaissance, and although Mary was from Yonkers, she understood the cutting edge of Harlem’s street corner bohemian appeal. She would be my Ghettofabulous artist. 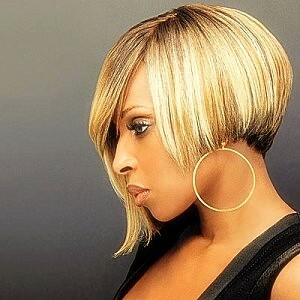 Her soulful pain and inner-city bluesy vocals opened up the ears of R&B lovers and hip hop heads alike. Mary began to make inroads with both audiences when she sang on I'll Do 4 U, Father MC's hit. Father MC was the Uptown answer to rap superstar Big Daddy Kane, but Father MC was really the first rapper to have strong R&B hooks in his songs. 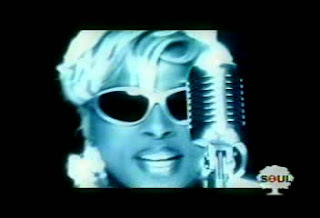 Mary also got a lot of buzz when she was in the video for I'll Do 4 U. 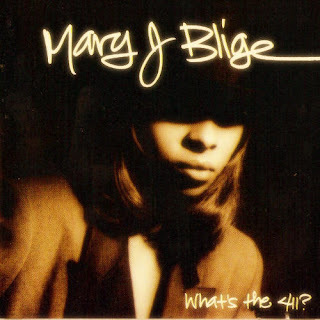 But the real epiphany for me came when Mary appeared on Soul Train and performed You Remind Me from the soundtrack of the first movie I produced Strictly Business, which starred Halle Berry and Tommy Davidson. Mary came on the soundstage dressed in a hockey jersey, tennis skirt, big gold shrimp earrings, and the Doc Maarten boots, and when Don Cornelius introduced her as the "Queen Of Hip Hop Soul"…Wow! It was over. I knew this was the moment when Mary became a movement and that movement would become a movie. There was real excitement in making Mary's solo album, What's The 411? It felt like a cinematic event, with me as producer and Puff as director. Under my tutelage, Puff had absorbed quite a bit: my love for movies, fashion, and the understanding of how the cult of personality can be used to create an icon. Real Love, the album’s first single, climbed to number 7 on Billboards Hot 100 Chart, and number 1 on the Hot R&B/Hip Hop Charts. Both Real Love and You Remind Me went gold, and What's The 411?--which hit the stores on July 18th, 1992--sold an unbelievable 3 million copies. Mary's first joint out of the box goes three-times platinum! As I look back on that time, it feels as if I was part of a classic movie. I was like Truman Capote, Puff was like Blake Edwards, Mary was Audrey Hepburn, and What's The 411? was Breakfast At Tiffanys. A young girl trying to escape the past and find herself while looking for love in the all the wrong faces. Like I said on my voicemail message on the album's intro: “Mary was "Outta-outta here!” She had become a star. Mary's meteoric success was not without its problems. As a matter of fact, the new found fame and money overwhelmed her, like it does with young performer who goes from starving artist to becoming super-successful in a short period of time. Selling three million joints on your debut album would have overwhelmed anybody. All of a sudden, the media becomes a part of your life in an attempt to x-ray your soul for public display. People who would not give you the time of day in any other situation become your best friends, cousins and kin who you never knew become attached to you like an extra arm trying to dig through your pockets in order to find the number to your bank account. Biggie said it best: Mo' Money, Mo' Problems. My challenge with Mary, Jodeci, Al B. Sure, Heavy D, and all of the young artists on Uptown was trying to protect them from their own self-destructive impulses, without tampering with the unique sense of who they were. Going from the corner store to Cartier's in less than 24 hours--as many of these young artists did after a hit record or tour--can prove somewhat daunting. Your life has somersaulted from one reality to another. Although my family loved me, I knew first-hand how growing up in the ghetto can condition you to think that your are not good enough and not worthy of love. The slightest word of advice or constructive criticism can and did bring out adverse reactions from my young charges. During the early years, it was hard for the regionals at Uptown and MCA when she went out on the road. It took a while for Mary to know that the emotion and concern that I felt for her would be replicated by the other people who worked for me. Everyone who worked for me was on Mary’s team, too. Mary had plenty to learn, things like how important it was to get rest on the road, how and when to get her hair done so she looked the part of the star that her fans were expecting her to be. Mary's first album was probably a good and bad experience for her, because she was thrown into this brave new world without any preparation. I knew I had to find a way to soften Mary's rough edges but keep her real and down to earth at the same time. I remember Kelly Haley--a smart and classy publicist of mine who grew up in Dayton, Ohio--set Mary up with an interview coach by the name of David Nathan, for the press junket supporting What's The 411? 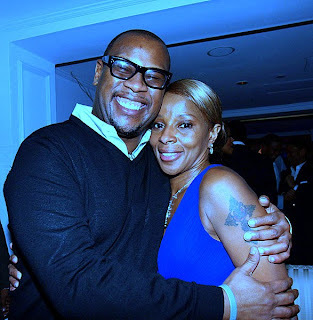 David, who was also the editor of a British soul magazine aptly titled Blues and Soul, said Mary reminded him of Aretha Franklin in her early days: not forth-coming with information and an overall tough interview. I also arranged to nave Angelo Ellerby and his company Double Xxposure hired to help Mary get comfortable with proper everyday etiquette: how to talk to people, how to respond to questions in a certain way, how to present yourself to the fans and the media even when you weren't in the mood to do it. The classes--which were based on what Berry Gordy taught in the charm school he created for his Motown artists back in the day--was really helpful to Mary, and if you watched her appearances on Oprah, you know what I am talking about. Mary is now classy and confident without being snobbish. She is an around the way girl who beautifully morphed into stylish royalty. It was a process. Mary also had a large white fan base, too. Mary’s kind of Hip Hop Soul was the first time a lot of young white listeners experienced a R&B music that they could identify with. This was not unlike there parents, when they discovered Motown, James Brown, Issac Hayes and Barry White. All of these events were an incredible prelude to Mary's second album, My Life. Mary recorded this album in a wind-tunnel of swirling personal turmoil--from family conflict to a the heartbreak of a tumultuous relationship with another performer--but Mary still kept her balance. Which brings to mind another movie analogy: if What's The 411? was Breakfast At Tiffany's then My Life was The Way We Were. This was a record of love, loss regret, reflection. I not only consider My Life to be a masterpiece, but it is one of my favorite albums of all time. This album really showcased Mary as a truly natural and instinctual artist, and if you could get her to appropriate venue--be it the studio, the video set, or the theater where she was to perform--Mary was going to deliver the goods. Her work ethic and drive for perfection was impeccable and impressive to those of around her. I believe that Mary did this because she felt she was carrying the torch for a whole bunch of women who had lives like her’s and she didn’t want to let them down. My Life dropped on November 29th, 1994, and in less than a year, sold 3 million copies. The first single Be Happy rose to #29 on the Billboard 100 and #6 on the R&B Singles chart. The video for “Be Happy” was memorable because of what I call that Been To The Mountaintop-shot, with Mary singing alone on a mountain peak. This was the video that truly displayed Mary’s tremendous impact on mainstream fashion and culture. She made blonde hair popular with black women. Her Chanel white shades and aluminum Michelin Man, bubble goose down coat were copied by fans everywhere all over the world after that video. Mary was the set-point for a new jet set that shuttled between Harlem and Hollywood. Mary was the transport to a place called Nu America. My Life was more than just a collection hot tracks and compelling videos. It was the album that made Mary a legend. When one becomes a legend, it is usually because they have transcended their previous narrow category to become a cultural phenomenon. Mary represented that last generation of affirmative action. This was a generation that could either throw their hands up and drown in their own pessimism, or square their shoulders and be buoyed by resolute confidence. An awareness that life’s struggles are only designed to make you stronger. The selfishness of The Age Of Reagan, that egocentric, everyman-for-himself-because-greed-is-good era may not have trickled down economically (because the rich just got richer, and the poor became invisible), but the attitude sure did. Me!, Me!, Me!, was pushing all of us to the brink of no return. I remember sharing this ideal with Mary in talks we would have, how the greatest calling in life was about being responsible for people who were less fortunate--this is what I call The Prestige. The Prestige was something my parents had passed on to me and what their parents had passed on to them in South Carolina. The Prestige as defined by Dr. Martin Luther King's I Have a Dream speech and JFK’s Ask Not speech, social programs like Neighborhood Youth Core summer jobs and the Each-One-Teach-One after school activities that were created to inspire greatness in kids in the inner city. The Prestige is what defined and underscored Uptown Records: it was a company not only designed to entertain, but to create the path for young, successful, black folk--and young, inspired go-getters of all races, sexes, and social classes, too--to excel. To find the better U living deep inside. I used to tell Mary that I grew up with a community to help my parents take care of me, so it was about my responsibility to give that support back to the community. And Mary truly understood that. Mary was all about community, she was all about giving back and lending a helping hand. 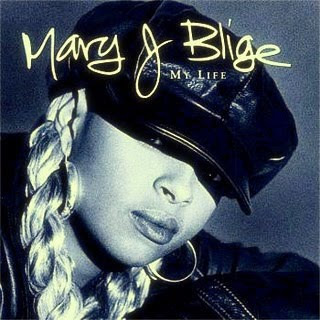 In many ways, the My Life album was about Mary J. Blige giving back. My Life was Mary’s on-ramp to her personal shining path. Women of all races, ages, and levels of society can identify with Mary's journey. She is their patron saint of transcending abusive relationships. 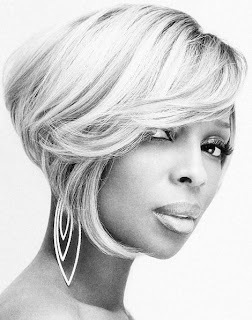 For this flock of the downtrodden Mary J. Blige has become Our Lady of Glamorous Sorrows. The Grammy Awards in 2007 are a moment of triumph. My mind reels as I mentally scan through Mary’s story, and the seemingly the seemingly insurmountable obstacles she has had to overcome: abusive relationships, lack of confidence in her from friends, family, and even staring back at the woman in the mirror, to the conquest of knowing what the power of love can do. Mary is now married to a guy by the name of Kendu Issacs--who is also her manager--and they seem to have a very deep, powerful, and loving relationship. The last two years have been a great time for Mary: between singing onstage with Bono and U2, to being one of the honored invitees to Oprah Winfrey's Legends Ball in 2005, to being nominated for eight Grammy's for her smash album "The Breakthrough” and winning three, to accompanying Oprah--along with Spike Lee, Sidney Poitier, and Tina Turner--to South Africa for the opening of her Leadership Academy For Girls, outside Johannesburg, Mary has come such a long way from the projects in the Yonkers to the stage of the Staples Center in Los Angeles, but Mary's God-fearing, unshakable faith and determination to reach for the best inside herself and others have made her the example of success for women everywhere. She is a real example of the restoring power of GOD's Love. What does is say in the book of Romans 8? If God be for us, who can be against us? I feel this is Mary's personal mantra. As I watched Mary accept her awards, I felt like a proud father who had raised a strong, loving, and beautiful daughter. In that moment I thought about a picture on the mantle in my home in Manhattan taken after four sold out nights at the Hammersmith Odeon in 1994. In the picture, I am rocking a Cab Calloway, a stylish apple jack cap, and Mary is wearing knee high boots, plaid pants, tweed shirts, and a black leather cap. She has on her big door knocker earrings, with her face. That day in London, Mary looked very British, very mod. It’s the only picture of any artist that I have in my house. That picture is near and dear to me because it is a reminder of that era of Mary’s career, which the most important album in my own life. I felt that my responsibility to Mary during her early years was to help her find her inner Goddess. Watching her coronation on Grammy night, I felt I had lived up to that task. Mary's great talent, persona, and awesomely humble spirit had finally been acknowledged, and maybe, in some small way, The Prestige of this great country, had been restored. Brilliant Barry! I want to read the whole shebang! @SoulFeast: Thank you for your kind words, SoulFeast. I truly appreciate it! Crazy B...you and Andre gotta get this book published. Very captivating. Where is that picture of Andre and MJB from? I'm working on a project about Andre and it's the best candid shot I've seen of them together. Thanks for the quick reply, Bmc! I found the photo in the same place. 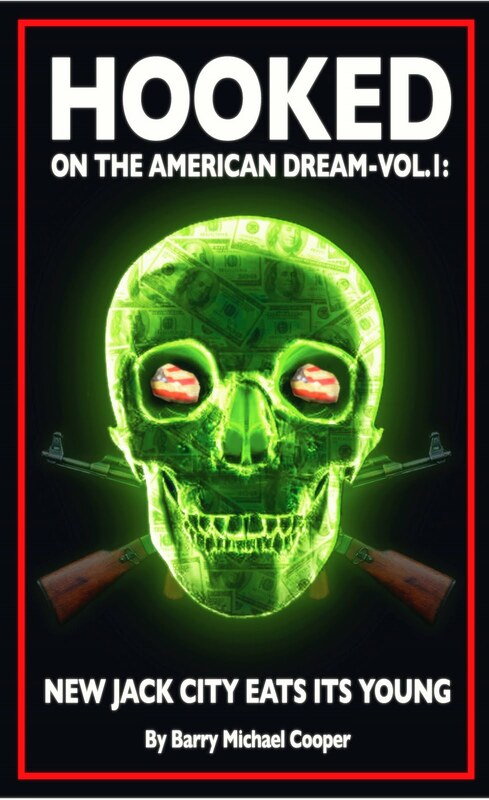 It may go into a TV production so I need the rights. Guess I've got some digging to do! @Rob: You're welcome. Much success on the Andre project. @Bmc: A few weeks ago I was doing work on the Andre project when I got totally sucked into an article on Teddy Riley. I didn't realize it then, but when I stumbled across it again today, I saw that it was your piece from July 8. It was a great (and informative) distraction! Consider yourself bookmarked.